In this category you can find all the products that exist in the current time to get a good adhesion of the different types of filament to the base of the 3D printer. Depending on the type of filament to print as well as the characteristics of the 3D printer you can choose the one that best fits between all. 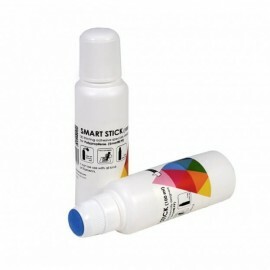 In stock 3DLAc, Magigoo, BuildTak, DimaFix, PrintaFix, SmartStick, Kapton Tape, Blue Tape and many more. 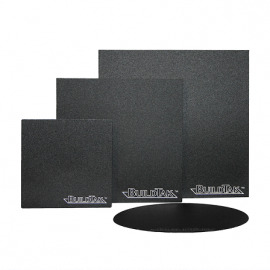 BuildTak is currently considered the ideal 3D printing surface. 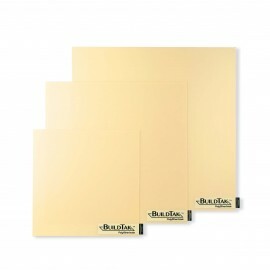 BuildTak is currently considered the ideal 3D printing surface. BuildTak PEI is currently considered the ideal 3D printing surface for common filaments. BuildTak PEI is currently considered the ideal 3D printing surface for common filaments. Dimafix® is the best fixative spray designed for 3D printing with FDM / FFF technology for heated bed. 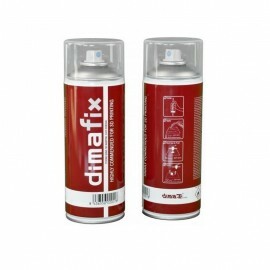 Dimafix® is the best fixative spray designed for 3D printing with FDM / FFF technology for heated bed. Magigoo is the new generation of components for adhesion to the 3D printing base. Magigoo is the new generation of components for adhesion to the 3D printing base. 3DLac is the first solution created for 3D printing in order to reduce the warping effect. 3DLac is the first solution created for 3D printing in order to reduce the warping effect. Kapton Tape is used to reduce the warping effect 3D printing or thermal and electrical insulation. Kapton Tape is used to reduce the warping effect 3D printing or thermal and electrical insulation. Blue Tape roll recommended to reduce the warping effect on 3D printing. Blue Tape roll recommended to reduce the warping effect on 3D printing.